A new 16.25 megapixel monochrome camera that perfectly captures low light fluorescence and large fields of view. 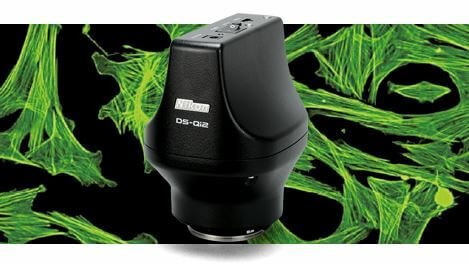 For the first time ever, Nikon has equipped with a Nikon digital SLR camera FX-format CMOS sensor and optimized it for microscopy. 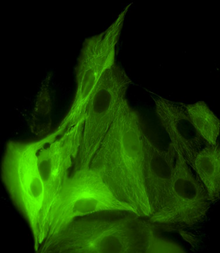 The result is an ultra-high quality 16.25 megapixel monochrome camera that features high pixel density, high sensitivity and low noise, making it an excellent choice for applications in quantitative fluorescence imaging. 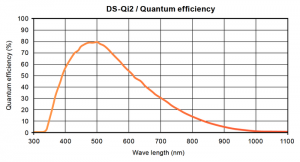 7.3μm pixels, high quantum efficiency, and very low read noise allow the DS-Qi2 to read in even faint fluorescent signals. With a linearity error of ±1%, the DS-Qi2 is a superb tool for measuring intensities in fluorescence samples, including timebases intensity measurement and radiometric meassurement. With a high-sensitivity CMOS sensor and USB 3.0-based data transfer, the DS-Qi2 enables high-speed live imaging and image capture at up to 45 fps (1636×1088 pixels). 2.2 electrons read noise coupled with a large full-well capacity allows the acquisition of fluorescence images with very little noise and very high dynamic range. 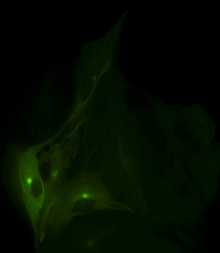 LLC-PK1 cells expressing GFP-EB3 tubulin with low noise. Large linear full well capacity allows acquiring both the brightest and dimmest areas in a single capture. 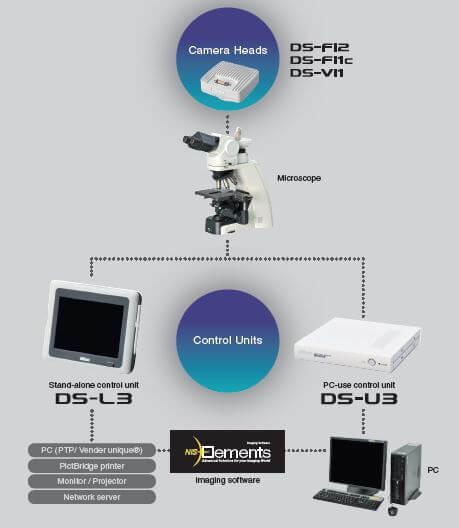 With a large field of view and pixel density, and low noise, the DS-Qi2 is ideal for time-resolved imaging applications. 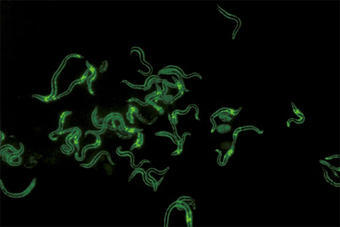 Time-lapse images (every 1 second) of LLC-PK1 cells with GFP-EB3 tubulin. 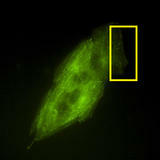 Each image represents the maximum intensity projection of the time-lapse, allowing visualization of the end-binding protein located on the microtubule plus-ends, and allowing tracing of the microtubule path. DS-Qi2 captures an extremely large field of view, but still represents very fine details as demonstrated in this cropped time-lapse sequence from a large FOV image.